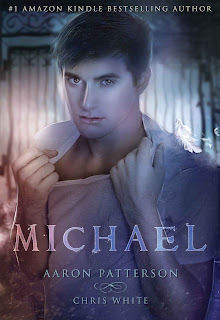 I can’t give testament to the writing of Amazon bestseller Aaron Patterson, whose new novel, Michael, launches today. I simply haven’t read it yet. But I’ll tell you this: For a year now I’ve been watching Aaron Patterson reinvent book publishing from his perch in Boise, Idaho. (Insert all the potato farmer jokes you want here, have your laugh, and now pay attention.) I have watched him make No. 1 Kindle bestsellers of former Big-Six-published mid-list authors and newcomers alike, including himself. This guy is smart. If he writes anything like he thinks about the world, watch out! Curious? Go check out Aaron’s new novel today, Book Two in his young adult Airel Saga. The book is available at a special promotional price with a chance to win a free Kindle. Free is good, too. The only thing better than a Kindle is a free Kindle.